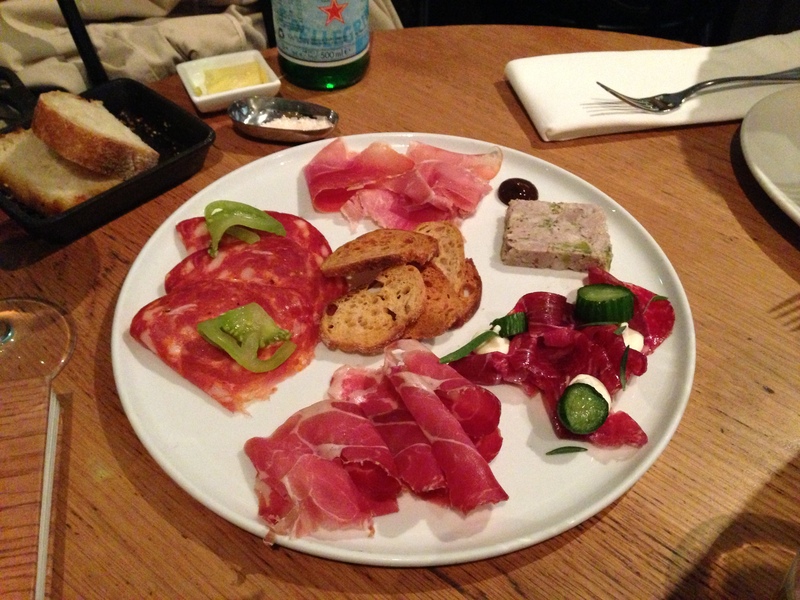 Quick and easy dinner at Cumulus Inc. | 15,000kms of Food! 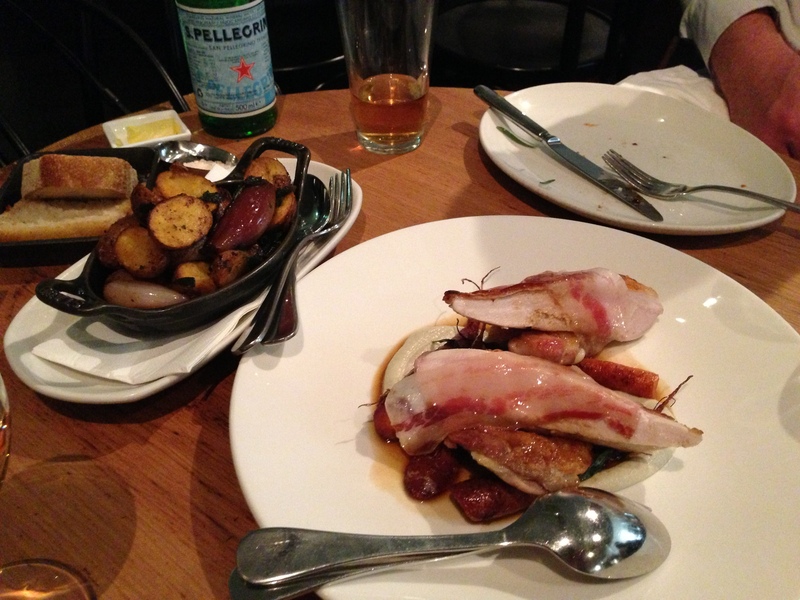 Quick and easy dinner at Cumulus Inc.
Ahh Cumulus Inc., you never dissappoint. Popped in for late dinner on a Friday night, exhausted from a long day at work and interstate travel and there you are, a warm welcoming hug of good yummy food. Started with the “kitchen charcuterie selection“, a gorgeous selection of cured meats beautifully garnished with pickled veggies and sauces. And finished with “slow roast chicken, almond cream, pancetta & heirloom carrots” with a serve of “new season potatoes, red wine shallots & sage” on the side. The wonderfully salty smoky pancetta with perfectly cooked moist chicken is a total winner. Can’t wait to revisit soon!